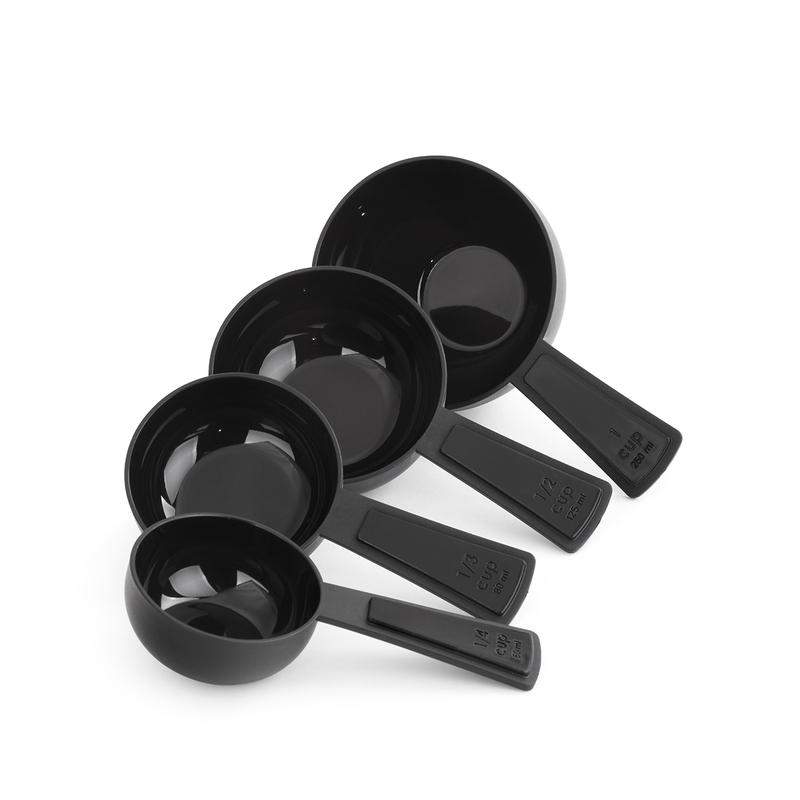 Bake in style with Holstein’s 4pc Silicone Measuring Cup Set! Included in the set is 1/4, 1/3, 1/2, and 1 cup. Whether you’re measuring ingredients to prep a delicious carrot cake or a butter cream frosting, Holstein Housewares brings kitchen solutions into your kitchen! • Includes: 1/4 cup, 1/3 cup, 1/2 cup & 1 cup.